The Monk Xenophont of Robeisk was a student of the Monk Varlaam of Khutinsk (+ 1192, Comm. 6 November). 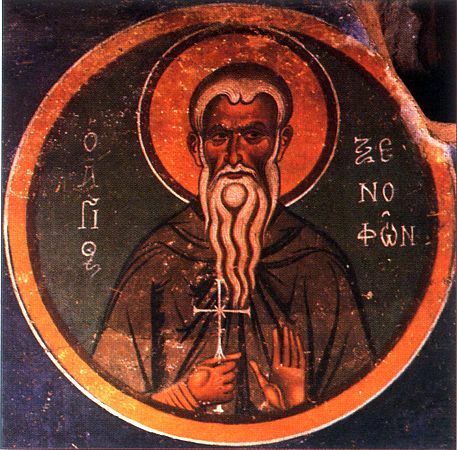 He was the head of the Khutinsk monastery after the hegumen Isidor (+ 1243). Resigning as hegumen, the Monk Xenophont founded the Trinity Monastery on the banks of the Robeika River (not far from Novgorod). And here he reposed blessedly on 28 June 1262.